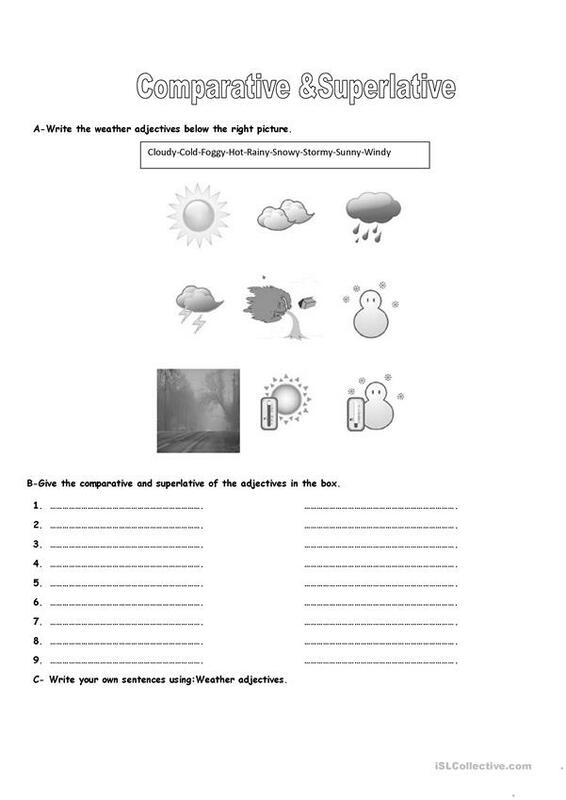 Colour & B&W ws to practise weather adjectives. 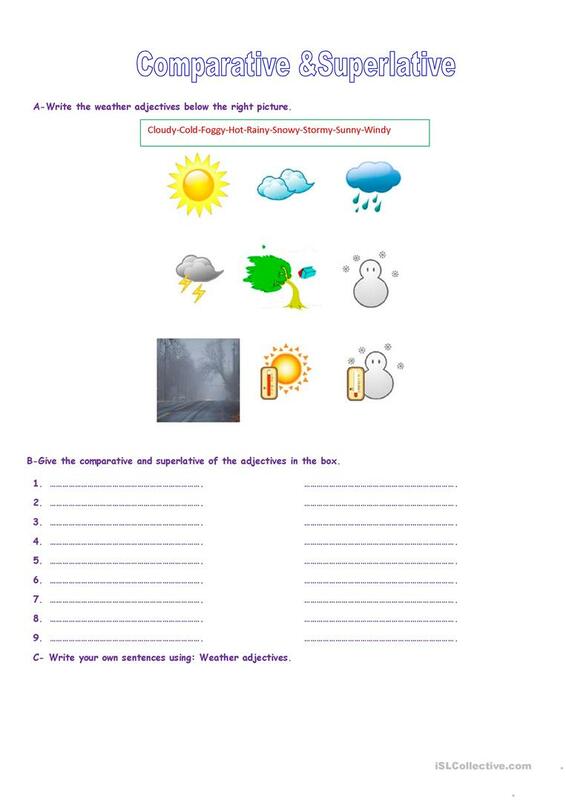 Sts can ask and answer questions using :What's the weather like ?They can write qustions on their notebooks too. The above printable, downloadable handout is a great resource for elementary school students and students with special educational needs, learning difficulties, e.g. dyslexia at Elementary (A1) and Pre-intermediate (A2) level. It can be used for strengthening your groups' Spelling, Speaking and Writing skills.